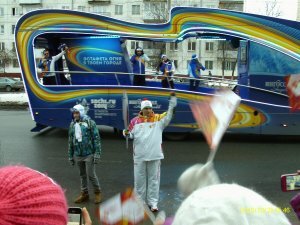 Torch relay of the XXII Olympic Winter Games in 2014 came to Samara, Russia. 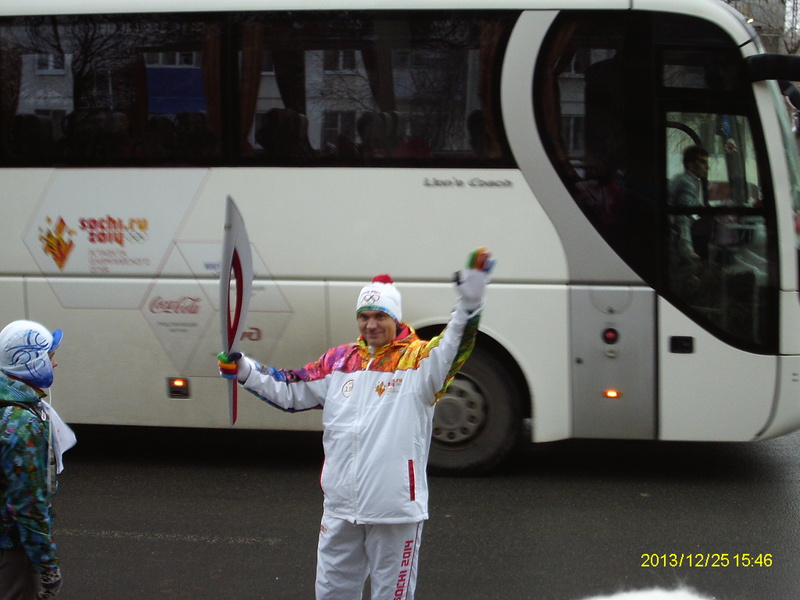 Famous athletes and residents of the city became participants the Olympic torch relay. 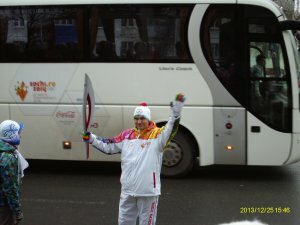 200 people, 40 kilometers — skiing, skating and just run. 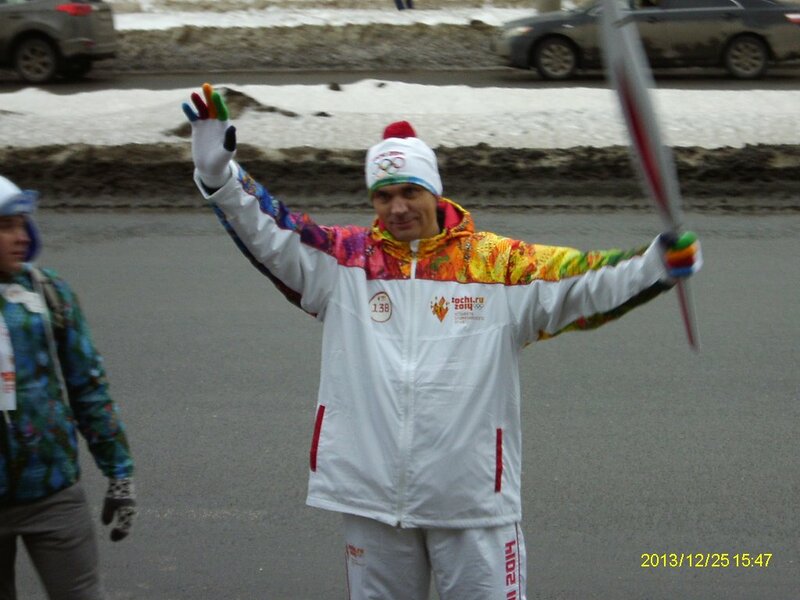 Multiple world champion in draughts-64, winner of the World Mind Sports Games 2008 in Beijing, International Grandmaster Oleg Dashkov from Samara took part in the Olympic torch relay. 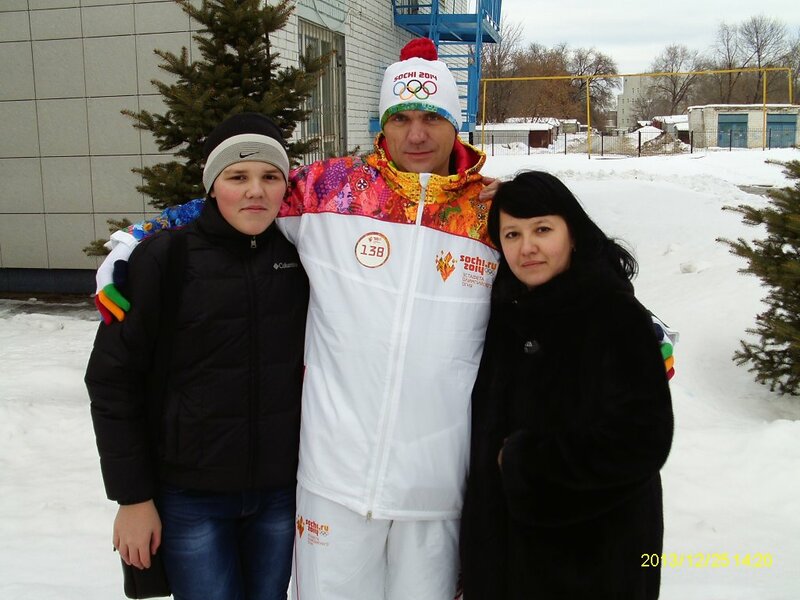 Oleg Dashkov and his family.